Algeria is at a crossroads following the resignation of longtime president Abdelaziz Bouteflika. It is difficult to assess its trajectory with confidence, but the best-case scenario is far from the most likely. Algeria’s protest movement has defied expectations by its longevity and its peacefulness. But the path to a fundamental change in the Algerian system of governance is narrow and hindered by a stagnant economy and an entrenched power structure. Many more scenarios lead to bad outcomes, ranging from renewed dictatorship to state collapse, than to the peaceful emergence of a more democratic state. The most likely scenario, given current indicators, is that the current ruling elite will fracture and the army will take over. This outcome may avert the chaos of a power vacuum in the near term, but it would probably create conditions for a future insurgency by neglecting—and likely worsening—popular grievances. Algeria cannot go back, but the way ahead is fraught. Bouteflika resigned on April 2 due to pressure from political elites in response to the 2019 protest movement. Bouteflika’s resignation follows the Army Chief of Staff’s unprecedented call for Parliament to depose the 82-year-old dictator due to his ill health. The resignation creates space for elite competition to capture the presidency and power as protesters continue to demand reform. A power struggle has emerged as military and political elites turn on Bouteflika’s inner circle. Security forces arrested several businessmen with ties to Bouteflika for corruption. Said Bouteflika, the younger brother widely seen as the president’s decision-maker and gatekeeper, met with the ousted former intelligence chief, possibly indicating convergence between the Bouteflika clan and powerful individuals seeking to regain influence lost in the last years of his rule. The caretaker government is led by former Bouteflika allies. The army has set conditions to act extra-constitutionally if it dislikes the path this pseudo-coalition is taking, however, creating the possibility of a protracted elite struggle that will destabilize the country. As elite factions compete for power, opposition parties and protest leaders have rejected the army’s overt political intervention and positioned themselves against further military meddling in political affairs. Some protest leaders have emerged but have not united the broader movement, which remains decentralized. A more unified opposition to the ruling elite could produce alternatives to the current leadership, which the protest movement lacks. Al Qaeda in the Islamic Maghreb (AQIM) has sought to insert itself into the Algerian political crisis by taking the side of the protesters, including framing the peaceful protests as complementary to armed jihad. Salafi-jihadi groups in Algeria remain weak, but they will likely seize opportunities to act if the political and security situation deteriorates, allowing Salafi-jihadi networks to reconstitute. Le Pouvoir. Algerians refer to the opaque cabal of political, military, and business leaders who run the country as “the power.” It includes both formal and informal decisionmakers. The Bouteflika clan: Former President Abdelaziz Bouteflika is surrounded by a cadre of family members and close associates, some of whom have reportedly made key governing decisions since Bouteflika’s stroke in 2013. Said Bouteflika had been rumored to be a potential successor and could seek to retain power despite public backlash. Army and security leadership: Army Chief of Staff Ahmed Gaid Salah has played a visible role since protests began, first as a critic of the protesters but later presenting the army as the people’s ally in seeking change. Army leaders initiated Bouteflika’s resignation when it became clear that protests would not abate. The army has long been Algeria’s kingmaker and will seek to retain this role as the political transition progresses. Political leadership and ruling parties: The political establishment draws primarily from two parties affiliated with the army and the presidency, the National Liberation Front (FLN) and the Democratic National Rally (RND). Party leaders, as well as state-run unions, largely followed the army in turning on Bouteflika and now support the army-approved transition plan. Protesters. The protest movement is largely leaderless. It cuts across sectors of society. Demonstrations are planned anonymously on social media. Some protest leadership has begun to organize, and longtime opposition figures have emerged as leaders. Protesters have been unified so far on major demands, like Bouteflika’s resignation, but have not yet produced a single platform or desired end state. Protesters’ demands are serial and have evolved with the situation. They began with a call for Bouteflika to withdraw his candidacy for a fifth term, evolved into a call for his resignation, and have now grown into a demand for the resignation of the caretaker government and deeper change in the system. Opposition parties. Opposition parties, among them Islamist parties, have sided with protesters in recent weeks. Some members of parliament have resigned to protest insufficient regime concessions. Opposition parties suffer from divisions and corruption, however. The Bouteflika regime kept the opposition weak so that would it not present a viable challenge to the ruling parties. Salafi-jihadi groups. Salafi-jihadi groups are not involved in the protest movement and have a limited ability to operate in Algeria—due largely to the repressive security measures of Bouteflika’s rule. AQIM, al Qaeda’s affiliate in the region, has encouraged the population to overthrow the regime in favor of shari’a-based governance. Islamic State (IS)-affiliated militants and other smaller Salafi-jihadi groups remaining from the 1990s war are present in Algeria but have yet to act during the protest period. Branch One: Return to a modified status quo. The current regime survives the leadership crisis and protests. A critical mass of elites agree to a consensus president and a transitional plan that preserves the current constellation of powerbrokers and distribution of power. A new government may include opposition figures, but regime elites remain in control. The regime gives handouts or economic concessions to key constituencies. Protests lose momentum, either through appeasement or fragmentation. A return to the status quo or a close variant brings short-term stability at the expense of necessary reform. The security sector remains intact and counterterrorism efforts are unaffected. Popular grievances remain unaddressed, however, preserving the underlying conditions for renewed unrest. Peace under these circumstances is likely a temporary respite before protests reemerge, possibly more violently due to the failure of the peaceful protest strategy. A transitional process that preserves overt markers of the “system”—like close Bouteflika allies in top positions—would likely generate a more rapid and probably more violent public response. Economic problems constrain the regime’s ability to buy popular support. Algeria’s poor economic circumstances limit the ability to increase and sustain social spending to demobilize protesters. An economic crisis would further challenge the regime. Potential catalysts of such a crisis include drops in oil and gas prices, sustained strikes at oil and gas sites, and terrorist or insurgent attacks targeting hydrocarbon infrastructure. Branch Two: Elite fracture and army takeover. Elite infighting paralyzes the transition process. The inability to generate an elite consensus delays elections. The army institutes a state of emergency and attempts to take control of the country. Protests escalate in response to the army takeover. Protests turn violent in some places, especially if protesters are killed or tortured. In one possible variant of this branch, the army cracks down, suppresses the protest movement, and establishes military rule. This trajectory, like a return to a modified status quo, will stabilize Algeria for months, even years, and keep its repressive security apparatus intact. A military dictatorship will also worsen popular grievances and stoke conditions for insurgency. The country will erupt again, likely with greater violence. In another variant, the suppression of the peaceful protest movement leads to an insurgency. Salafi-jihadi groups, likely AQIM and IS, co-opt the turn to violence and begin a campaign of attacks against the state. The army may suppress both civil unrest and Salafi-jihadi groups in the near term but will preserve or worsen the conditions for a future insurgency. In another possible variant, army efforts to suppress protests are sporadic and ineffective. Protesters seize public infrastructure in some areas, but regime infighting prevents a coordinated response. The situation either dissolves into civil war or insurgency, or a new bloc takes control of the state. If the opposition is divided, a minority bloc may win power. An electoral victory by an Islamist party under these circumstances leads to an army takeover and an escalation in violence. In the worst case, the state collapses and protracted conflict allows Salafi-jihadi groups to hijack the anti-regime movement. Collapsed governance and violence cause a humanitarian disaster. Algerian civilians flee to Europe en masse. Algeria’s collapse compounds existing conflicts in Libya and Mali and threatens the stability of its other neighbors, particularly Tunisia. Salafi-jihadi groups establish a new beachhead on the Mediterranean. In the best case, a unified and principled protest movement pushes the regime to accept fundamental changes that address protester grievances. Protest and opposition leaders produce a unified vision for a new government with popular buy-in. Violent or ideologically fringe subsets of the protest movement are marginalized. New national leadership emerges with electoral legitimacy. The new government faces challenges akin to Tunisia’s as it seeks to fulfill economic and civil rights promises to the population. Branch Three: Transition to new leadership. Sustained peaceful protests and strikes place sufficient economic and political pressure on the regime to force substantive changes. An independent commission is formed to manage elections. Voting proceeds in a relatively free-and-fair environment. Individuals seen as independent from le pouvoir are elected and appointed to key positions, including in the security sector. The army retains influence but accepts new constraints. The transition falters if the newly empowered opposition cannot produce a consensus candidate or platform, opening the door for an Islamist party or another divisive bloc to take power through elections. Divisions in new leadership also allow the ancien régime to make plays to regain its power. The transition to younger leadership may cause Algeria to open to the outside world and reshape its relationships, both in Africa and globally. Such an opening presents an opportunity for Russia and China to increase their influence, however. Terrorist attack. A major terrorist attack causes popular backlash against the army and security services. An attack causing significant casualties, of security personnel or civilians, undermines the army’s claim to legitimacy through security provision. Protests could re-escalate and create a rare opportunity for opponents of the army—either a broad public movement or outsiders—to limit the army’s power. The army would likely respond by cracking down on both rival elites and the public, leading to either an army takeover of the state or regime infighting. A major attack could conversely rally support behind military rule, especially if the military is able to influence the popular narrative. But popular support for military rule is low, making a rallying-around-the-flag response to an attack relatively less likely. Assassination. The assassination of a major figure by a Salafi-jihadi group or other marginal actor causes similar outsized effects, including infighting or an army takeover. Libya collapse. Current efforts to secure a peace deal in Libya fail amid escalating tensions, and the country falls back into active civil war. Renewed conflict lifts pressure from Salafi-jihadi groups active in western Libya, increasing the threat of cross-border infiltration and attacks in Algeria. Escalating intercommunal violence in southwestern Libya, which Libya’s political conflict has destabilized, spills over into Algeria and other neighboring states. Intervention. Foreign intervention is unlikely due to Algerians’ concern for their sovereignty and Western powers’ wariness to engage in another conflict in the Arab world. France may be drawn in to its former colony, however, if a refugee outflow from a collapsing Algeria becomes critical. The development of a Salafi-jihadi insurgency inside Algeria may also cause the Algerian army to seek or accept foreign help. Russia, a longtime ally and arms supplier to Algeria, may use the opportunity of unrest to increase its influence, possibly by deploying private military contractors to support the regime, as it has in Sudan. Escalation with Morocco. Algeria’s regional rival has been careful to avoid accusations of backing the protests. Tensions between the countries remain, however, and talks over the contentious Western Sahara issue are stalled. Algerian leadership attempting to turn attention away from domestic challenges may seek an external enemy, and Western Sahara may prove a useful flashpoint. The indicators of a Salafi-jihadi infiltration and an army crackdown are similar. The origin of violence is historically murky in Algeria. 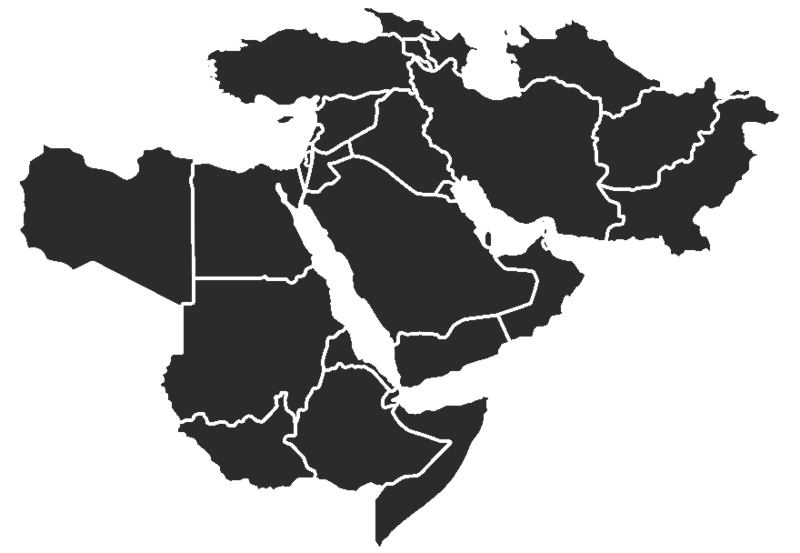 Attacks may be attributed to either Salafi-jihadi militants, Salafi-jihadi militants coopted or manipulated by the state, or state actors conducting false flag operations. Zine Labidine Ghebouli, “Algeria: What’s Next for a Changing Country?,” The Washington Institute’s Fikra Forum, March 27, 2019, https://www.washingtoninstitute.org/fikraforum/view/algeria-whats-next-for-a-changing-country.